in the DGT online informer issued for the Cannes Festival, we published the most recent statistics on digital infrastructures in Europe. In this issue we pursue the topic, touching on a phenomenon linked to the digitization of screenings but as yet little documented: the development of added content. Operas, concerts of classical or pop music, drama, comedies, ballet and art exhibitions are finding more and more opportunities in Europe's cinemas for reaching an audience that is different to habitual museum and theatre visitors. An opportunity for spectators - who discover the possibility of enjoying, perhaps even live, performances that take place thousands of kilometres away - and for exhibitors - who gain new audience sectors. This is the reason why we like to call this type of content "added": it enriches theatre programming and attracts those who may not be fans of the latest blockbuster into the cinema. In addition, as can be seen from the graphs we publish, in terms of added content great success has been achieved by European creative productions which, thanks to the big screen, reach spectators all over the world. In this context, added content made in Italy plays a particularly important role and MEDIA Salles has started to report on its scope as part of the initiative "Italian Cinema: where and when?" I wish you all pleasant reading, in the hope that all European markets will keep track more and more regularly and systematically of the role added content plays in the programming of movie theatres. One of the novelties that digitization brings to movie theatres and their audiences is so-called added content or alternative content or event cinema. It ranges from music - whether opera or pop concerts - to theatre, and from ballet to the arts. Thanks to the digital big screen, the content is often connected by satellite transmission, which adds the thrill of a live event, bringing it to a far wider audience than is to be found in the traditionally established venues where these performances and cultural events originate: the Milan Scala, the Uffizi, the Fenice, the Vatican Museums, to quote only a few of the great names that have brought worldwide prestige to Italy and its culture, and which continue to do so. And if, on the one hand, this content broadens the range of choice offered to cinemagoers, on the other hand, it represents a growing business opportunity and image for the whole of the cinema chain, from producers to exhibitors. This becomes clear in the statistics collected by MEDIA Salles on three of the leading European cinema markets: France, United Kingdom and Italy. In these countries, between 2010 and 2017, box office from added content grew by around 300%, from 13.5 million euros to a little under 54 million. 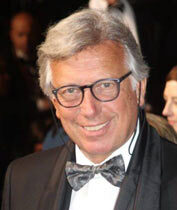 If the incidence on total box office may seem limited in overall terms - varying from approximately 1% in France to 2 - 2.5% in Italy and the UK, according to the year - the average ticket price for added content is very attractive: in 2007 in Italy it was 8.8 euros - whilst a ticket to the cinema cost an average 6 euros - and in France as much as 15.86 euros, compared to 6.6. The mix of products going under the name of added content makes this new offer particularly suited for drawing different audiences and satisfying the tastes and trends of the European public. Whilst in France there is a preference for drama (three titles by the Comédie Française earned the main box office in 2017), in Italy the most successful content has consisted in concerts of pop music (which are classified in the top three places). A similar trend is recorded in Hungary, where this type of concert came in first and second place, followed by art documentaries. If a ballet and an opera (in this order) were the box-office champions of Portugal and Cyprus in 2017, in the United Kingdom the theatre wins (with 4 out of 5 of the top box office places). Even more interesting is the surprising classification by nationality. In 2017, in the six countries that provided their figures (France, United Kingdom, Italy, Hungary, Portugal and Cyprus), a total of 16 European and two U.S. productions came in first, second and third place in the classification of added content. If we look at a similar classification for films, we see the United States appear 15 times, compared to 3 times for Europe. 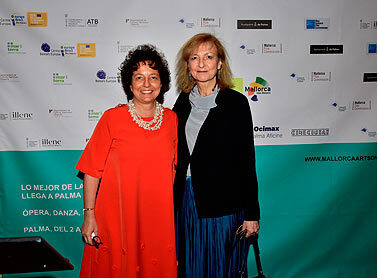 As emerged at the Mallorca Arts on Screen Conference, where MEDIA Salles presented an overview of the market for added content in Europe, this new sector is offering interesting opportunities to authors, cultural institutions and businesses that address a public in search of quality at the cinema. Stories of seas and shipwrecks, maps and the remains of vessels: the Maritime Museum of Ushuaia recalls the lives of the sailors who managed to reach this place, the southernmost town in the world, in Tierra del Fuego, Argentina, less than 1,000 km from Antarctica. Amongst the Museum's many exhibits is a picture showing a blue boat sinking into a dark, windswept sea: it's one of the "Packewaia" fleet. Packewaia is also the name that appears on the ancient maps of the Magellano Regions, denoting a strip of land in this country at the end of the world, "wrapped in fogs and interminable storms," as Darwin described Tierra del Fuego. Next to the Maritime Museum, the theatre of the garrison housing the Ushuaia naval base, the "Cine Packewaia" was the first movie theatre for the inhabitants of Ushuaia, when the town began to grow, to become the biggest populated area in the Argentinian Tierra del Fuego, after the closure of the large prison in 1947. The cinema is a hangar, consisting of two simple auditoriums, as well as a large foyer with an attractive, 1950s-style bar with no intention of selling mega-packets of popcorn, but coffee, sweets and a few pastries. The theatre seats a total of 300 people but the 3D and 2D technology is the latest generation, with Dolby projectors. Prices differ: 120 Argentinian pesos for 2D (4.15 euros) and 140 pesos (around 5 euros) for 3D films; only premières come here. The cinema is open every day from Monday to Sunday with two screenings in each auditorium, the first at 6 p.m. The majority of films are screened in their original language with subtitles, but for children, films like "Coco" come dubbed in Castilian Spanish. 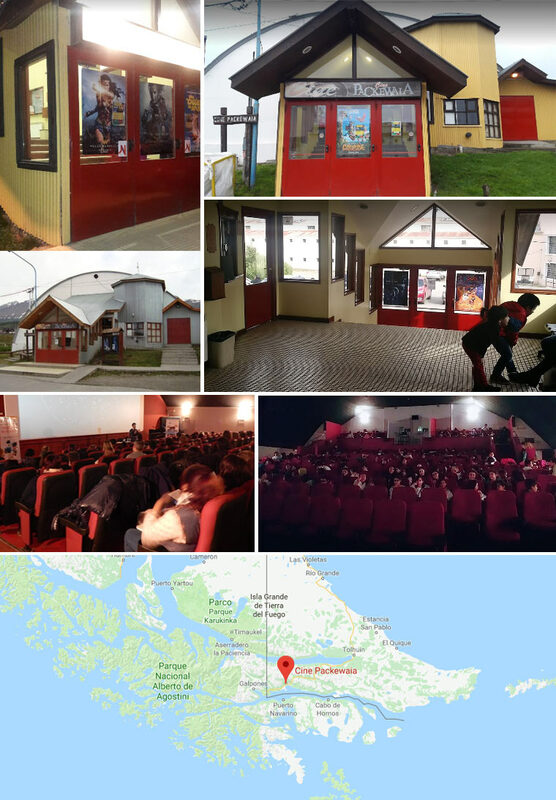 The Cine Packewaia is in the centre of Ushuaia, on the corner between Yaganes and Gobernador Paz, at the head of a promontory overlooking the city port on the Beagle Channel. It stands on the very same site as the famous prison, the first building there, which in 1902 formed the basis for the expansion of the village of Ushuaia, founded by Commodore Augusto Lasserre around 1884. Here the government of Buenos Aires imprisoned the most fearsome anarchists, impenitent criminals and serial killers. Impossible to even imagine escaping from a place like this. Snow-covered mountains with peaks reaching to 1,500 metres above sea-level behind the town and in front the icy waters of the Channel, with inclement winds the year round and interminable grasslands and forests outside Ushuaia. Only six hours of light a day in July and August: any thought of making it was an illusion. The only peoples able to survive in these surroundings without any help from civilization, including that of the first sailors to arrive here with Magellano in 1520, were the nomad Yaghans or Yamanas. By covering themselves with whale fat to combat the intense cold, and becoming cannibals when there was nothing to eat, capable of lighting fires even inside their tiny boats, for 10,000 years the Yaghans inhabited Tierra del Fuego, becoming extinct in the space of a split second when the first colonialists arrived between the end of the 1800s and the beginning of the next century. Fires everywhere were what Magellano's sailors saw when they arrived here and this was the name they gave to the coasts south of Argentina and Chile. Proof of these simple lives lived out in rudimental huts and of the custom of painting their whole body for religious ceremonies lives on in two fine black-and-white documentaries by the Salesian Father Alberto Maria De Agostini, who, between 1912 and 1945, filmed the lives of the last remaining Yaghans, using the means available to him at the time. These treasures of cinematography and history belong to the Museum of the "Fin del Mundo" in Ushuaia but every now and again the Cine Packewaia decides to devote an evening to screening documentaries on the history of this last, fascinating and mysterious outpost of humanity. In Ushuaia, a city of 57,000 inhabitants, a multiplex, the Sunstar Cinema, has now been built 5 km from the city centre. So far there is no agreed name for the growing phenomenon of live and recorded performance and documentary cinema productions that has developed in digital cinema in the last 10 years or so: Added Content; Alternative Content, Event cinema, Digital Cinema - none quite stick. I personally favour Arts Cinema, which can embrace all art forms but still makes a separation from feature films and general film documentaries. I have just been very grateful to receive two awards from Mallorca Arts on Screen Festival which recognised the British Museum's first venture in this genre: Pompeii Live from the British Museum which premiered in 2013 and British Museum presents: Hokusai on the great Japanese artist Katsushika Hokusai, which we showed last year, in June 2017. We also made Pompeii for children and Vikings Live from the British Museum in 2014. Pompeii Live was recognised as a major contribution to European cultural heritage on screen and I was very pleased to have collected such a special award in these days of threatened Brexit. It was the first broadcast from a museum exhibition - now there have been many - and was extremely well received by audiences. It included a tour of the exhibition with highlight objects as well as the dramatic story of the eruption of Vesuvius in AD79. Some were delighted to learn about the exhibition from the curators and other experts as well as going to the exhibition themselves, but for many it was their only means of visiting the exhibition and even the museum. For public institutions like the British Museum this kind of cinema creates a direct relationship with a global public. As producer of these films, and director of the Hokusai, which involved a film biography of the artist as well as a tour of the Hokusai exhibition, I feel passionate about communicating in this intense and special way with willing audiences. 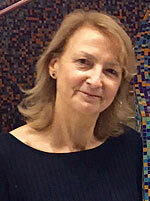 I was a BBC television producer for many years and reached many people through documentaries, but there is an especially rewarding relationship with the cinema-going public. We love the sense of occasion when people make the effort to go to - and pay for - a special screening; we relish the longer and more in-depth treatment we can give to people who really want to learn a lot about a subject and we love the fact that we can speak to audiences all over the world. I have now left the British Museum and am planning more productions for institutions in the UK. I am so glad this genre has blossomed - now we just need to agree what it's called. I'm calling on you all for votes on which is the best. Let us know! The first European heritage award went to "Pompeii live", the added content that in 2013 successfully gave international audiences an insight into the splendour of life in Pompeii and Herculaneum and their dramatic end due to the eruption of Vesuvius in AD 79. "Pompeii live" brought to the big screen the major exhibition organized by the British Museum thanks to collaboration with the Archaeological Superintendency of Naples and Pompeii. "Pompeii live" has established itself as a model for bringing art exhibitions to cinema screens, with the intention of offering wider access to them, thanks to the removal of physical and socio-cultural barriers. "Pompeii live" has thus opened up the path for an innovative form of creative production linking the cinema and visual arts and giving exceptional international visibility to the culture and history of Europe.